Born in Brandon, Glen Lawson has a connection to many teams in the Westman area. He played junior for the Wheat Kings of the MJHL in 1953-54. 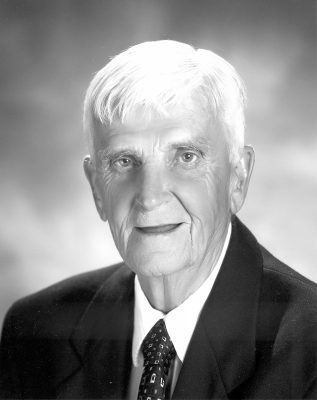 He took up coaching a juvenile team in Brandon that played in the senior Big Six League in 1956-57 and won the Riding Mountain intermediate league title in 1957-58. The team won the provincial juvenile A championship both years. Halfway through the 1958-59 season, he took over as coach of the Wheat Kings in the MJHL. For the next several years, he coached Brandon midgets and juveniles while continuing to play intermediate. In 1964-65, he again took over the Wheat Kings in mid-season. After the Wheat Kings joined the Western Canada league in 1967-68, he served in several roles including manager, director, part-owner, league governor, and he even coached during part of the 1970-71 season. He also coached a Brandon bantam team to the provincial AA title in 1974.